Raleigh-GAC, whose aggressive riding throughout gave them presence in the key moves over the three stages. 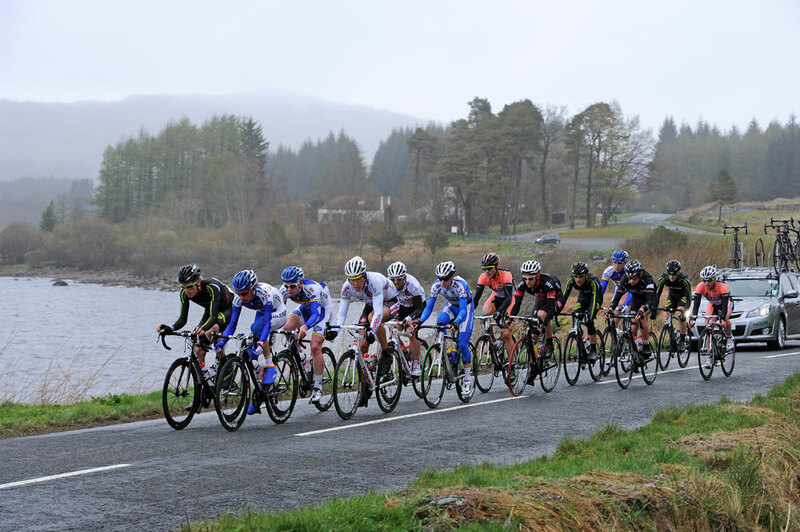 Australian Bernie Sulzberger finished sixth overall at the end of the two-day race, while Russell Hampton moved up from 35th to 10th on the final GC after making the split in yesterday’s third and final stage into Annan. Sulzberger, too, also made it into the race-winning move, and despite Endura having double the number of riders in the lead group, neither was afraid to attack in the closing kilometres. “We tried everything we could,” the Tasmanian told Cycling Weekly. “There weren’t any others attacking so Russ and I tried it at the end. When I went Jonny (McEvoy) came across to me and then attacked. Sulzberger finished seventh in Sunday’s Girvan criterium, with American team-mate and recent Vuelta Mexico stage winner Daniel Holloway just ahead in third, despite not being fully fit. Team manager Cherie Pridham declared herself pleased with the team’s performance over Easter, even if their riding didn’t lead to the golden egg. “We’re very happy with the results this weekend. We didn’t want to sit back and give it to Endura on a plate and I think the whole team put up a good fight,” she said. Interestingly, with Scot Evan Oliphant finishing the crit in 16th, had the results have been translated into the Tour Series format (the placings of the first three riders from each team are added, and the lowest cumulative score wins), Raleigh-GAC would have finished second. “We’re only looking at the races when they come,” Pridham insisted. Nonetheless, could they be the team to challenge Endura there, too?